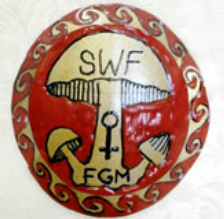 SWF International contributed to brainstoriming solutions for the Education, Immigration, Health and Activists expert groups working on FGM practices in the US. People from SIERRA LEONE, ROMANIA, UNITED STATES OF AMERICA, INDIA, NIGERIA, JAPAN, IRAN, TURKEY, CAMBODIA, GUATEMALA, GREECE, ISRAEL, LIBERIA, CAMEROON, BRAZIL, CUBA, the NETHERLANDS, PAKISTAN, PHILLIPINES, TURKMENISTAN, UKRAINE, TAIWAN, FRANCE, ALGERIA, UNITED KINGDOM, ERITREA, ETHIOPIA, UNITED KINGDOM, KENYA AND THE DRC have supported the work of SWF International in Sierra Leone since 2004! Thank You for listening to the voices of those who are at risk of FGM! Thank You for helping us break the silence on FGM! Thank You for your donations and inspiration! We need You to continue to contribute so that thousands of girls, boys and women can live a dignified life without having their basic human rights violated. Together - SWF International and You - we transform lives!